Danny Garcia (31-0, 18 KOs) and Robert Guerrero Guerrero (33-3-1, 18 KOs) will now have more motivation going into their January 23 fight this month now that the World Boxing Council has announced that their fight will have the vacant WBC welterweight title at stake at the Staples Center in Los Angeles, California. Having the WBC title on the line will make the fight a lot more interesting because we’re going to see a new champion crowned in this fight, which will be televised on Premier Boxing Champions on Fox Sports 1. The winner of the Garcia vs. Guerrero fight will have plenty of challengers available to them to fight. The WBC ordered Amir Khan to be the mandatory challenger to the winner of the Garcia-Guerrero fight. Khan has been quite as of late, and it’s quite possible that he’ll not agree to fight the winner of that fight. If not, it doesn’t matter. The WBC has already ordered a final elimination fight between Lamont Peterson and Andre Berto as the second mandatory. The WBC has also ordered a semi-final elimination fight between Aaron Martinez vs. Sammy Vasquez, and Miguel Barrionuevo vs. Azael Cosio. The winners of those fights could wind up facing each other. Guerrero, 32, has to raise his game a little for him to beat Garcia. Guerrero has suffered recent losses to Keith Thurman and Floyd Mayweather Jr. There is no shame in losing to those fighters, because those are two of the best fighters in the 147lb division. 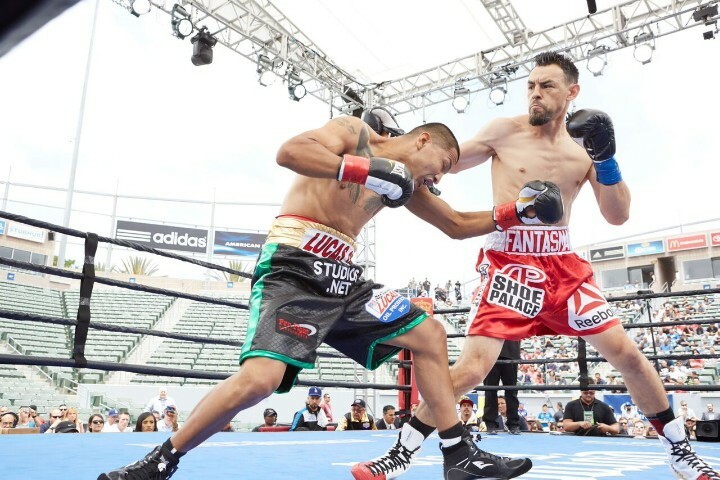 What was a little more disturbing was the difficult time that Guerrero had in his last fight against the always tough Aron Martinez last June. Guerrero won the fight by a 10 round split decision, but he was knocked down in the 4th and he had to rally to win. Guerrero says he’s learned from his last few fights by him making the mistake of trying to slug instead of using his boxing skills. However, Guerrero is probably going to need to put pressure on Garcia and slug with him if he wants to have a chance of winning. The fighters that do well against Garcia are the ones that put pressure on him. Even then, Garcia has proven unbeatable and he’s been lucky when it’s come to getting decisions thus far. Garcia is the A-side in this fight against Guerrero. This means that Guerrero will need to do a little bit more if he wants to get the victory, because Garcia means a lot to boxing due to his unbeaten record and his large fan base.